Unless you’ve been off the grid, you know that today’s intelligent services (think voice search, mobile, augmented reality, etc.) have been accelerating change in technology and data. Today, when consumers seek out information, they receive fast, relevant answers from listing publishers and intelligent search. Do you know what you would find if you asked Siri about your business? How about a social media site search, or a search on maps? Yext knows that search engine and intelligent service algorithms find results based on a diverse set of information types, which can often lead to duplicate and conflicting information online. The expansion of these intelligent services makes it less likely that a consumer will travel to your business’s website – many Google searches now generate a knowledge graph answer ahead of any website links. This also means that you need to up your search engine optimization (SEO) game, to appear in these intelligent searches. You can’t leave your brand reputation to chance and ignore all the changing digital knowledge that is shooting around the internet. You need to be able to reconcile internal sources of customer-facing digital facts about your brand, people, products, and locations to improve SEO and be relevant in searches. This knowledge is dynamic and is continually becoming more complex as your business changes and must be managed to exist consistently and accurately in its many locations. Currently, there are two main ways to manage your business’s digital knowledge base: with a platform, or within your company. There are many variations to these options depending on implementation, but the goal of ensuring the digital knowledge about your company exists consistently and accurately should remain fixed. 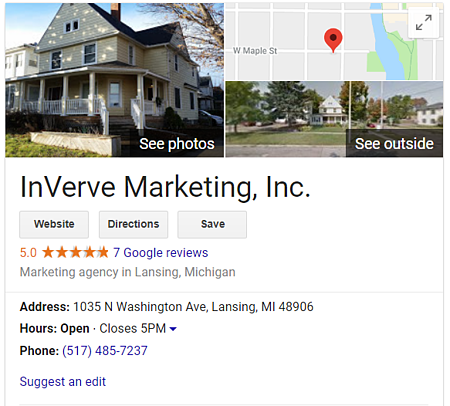 Consider how quickly your opinion of a brand can change if you drive to their address listed on Google and find out that the address is incorrect. This incorrect digital information negatively impacts a company, and conversely, structured and correct data can positively impact your company by adding to your presence throughout the internet. Managing your digital knowledge base will directly impact your SEO. If your business information and data are current and original (not duplicated), SEO will improve. SEO is all about performing better on search engines and intelligent services, thus improving discoverability. The digital knowledge surrounding your company can either add to or detract from your SEO, depending on if you choose to manage it or not. Manage and coordinate all your local listings - your business will perform better in search results, and potential customers will find the information they need. Centralize your data – search engines will trust your site more. Optimize the data on your web pages – creates authority when intelligent services are considering sources. Look to the future – know details and timelines of search engine algorithms. Since SEO drives customers to your business and managing your digital knowledge improves your SEO, you should create a digital knowledge management plan or hire a service to do so. The fundamental message of these new marketing buzzwords is that in order for your business’s reputation to be coordinated across all digital knowledge platforms, you must come up with an extensive plan to manage your digital knowledge base.